Hey guys! 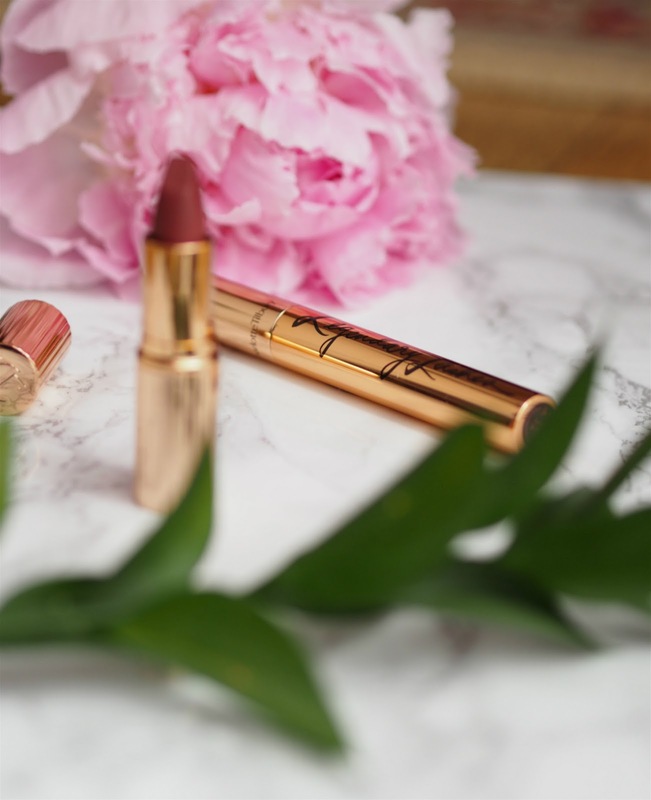 I thought I'd review some new (new to me anyway...) products from Charlotte Tilbury for you today because I haven't posted much beauty in a while. First up the Matte Revolution lipstick in the shade Bond Girl. It's just beautiful isn't it? The kind of product that you slightly don't want to try because you'll ruin how great it looks when it's new. That goes for pretty much all CT products though to be honest! The colour itself was more purple than I expected, which is great because if it was a bit more on the red side I would feel less inclined to wear it day to day like I have been doing since I got it. 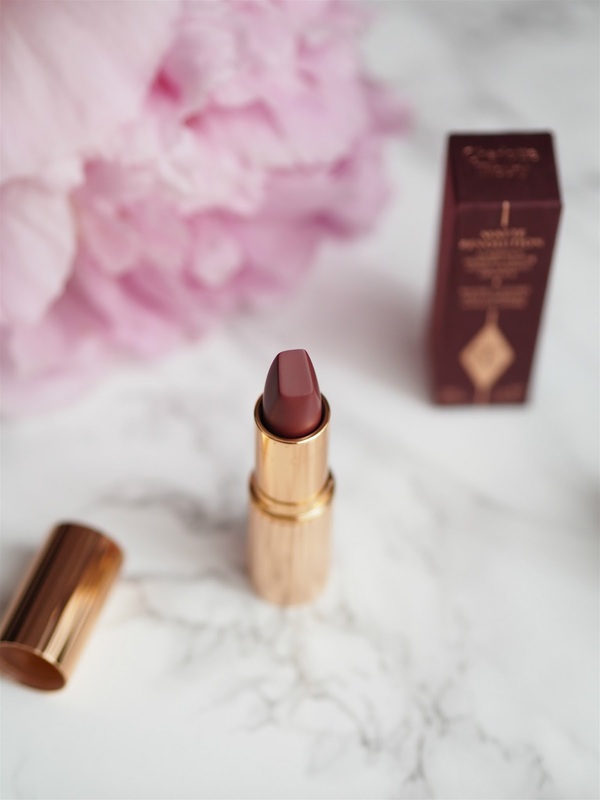 The formula is incredible, probably the best in a matte lipstick that I've ever tried - it glides on, doesn't stick to any dry areas and doesn't dry up over time either so your lips stay looking full of life rather than a bit suffocated. It is honestly a dream because I only ever wear matte lipsticks (I'm not a huge fan of the way glossier ones look and feel on me) and I struggle so much with the formulas. Above that, it's long lasting as well, and I usually apply one layer, blot and then apply another to seal it all in. I think I'll be picking it up in more shades for sure. 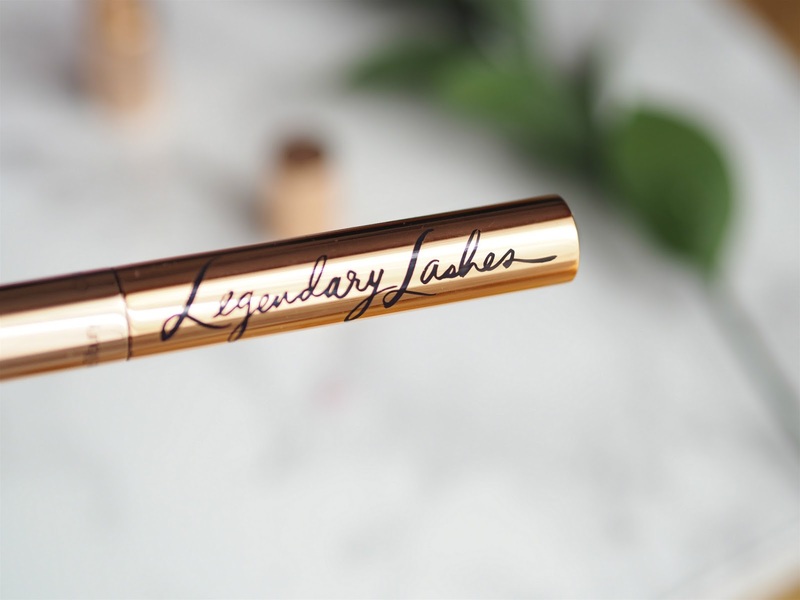 The Legendary Lashes mascara sadly had some great points and some bad points too. Don't get me wrong, it gives me longer and fuller looking lashes in a flash, as promised, and is so good at separating my lashes at the same time so that they don't clump in the process. 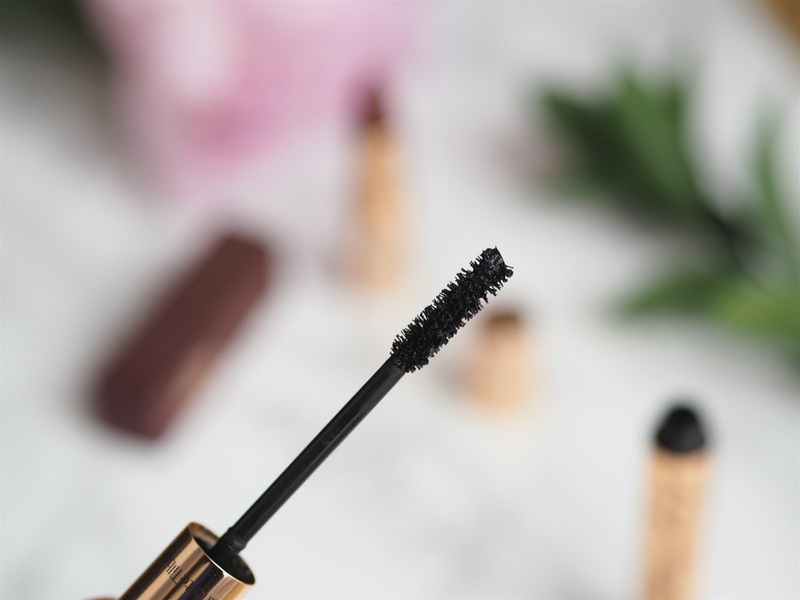 It also stays black all day, as I know with a lot of mascaras they can go a bit dull or grey looking and fall flat after a while. The downside is that formula for some reason is just so prone to smudging (that's not to say it would be like that for everyone, but on me it did). Now obviously I wasn't going to stop using it because it isn't the cheapest mascara, and bar the smudging it made my lashes look great. So on top of it I started applying a mascara top coat (mine is from Clarins but I know a few brands do them) and it fixed it completely. I've had problems with smudging with so many mascaras before so I don't know how I hadn't tried it before. That said, if I didn't already have the topcoat, I probably wouldn't repurchase this mascara, mainly due to the fact I expect a product to do a little better on it's own at that price. 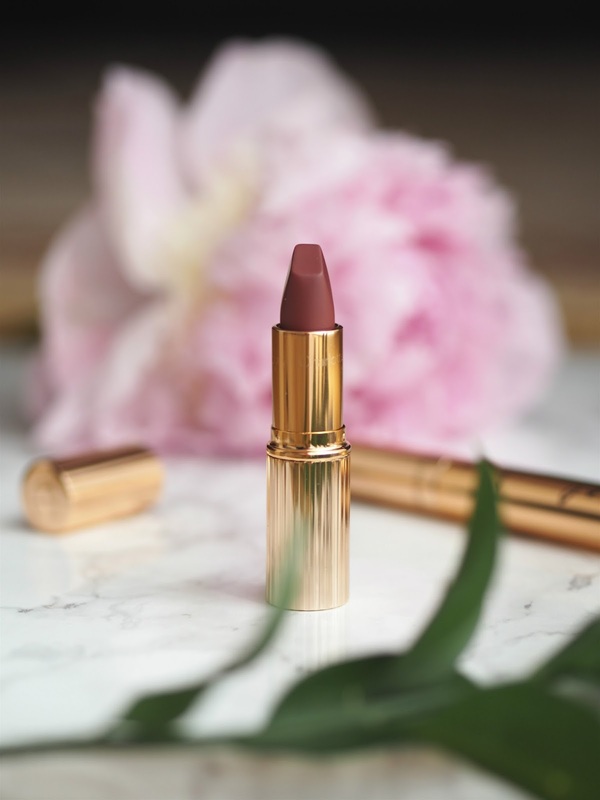 So I hope that gave you a little insight into these two products, and obviously the lipstick is my favourite of the two - in fact, its probably my favourite lipstick of all at the moment, so do go and check out the collection if you can. 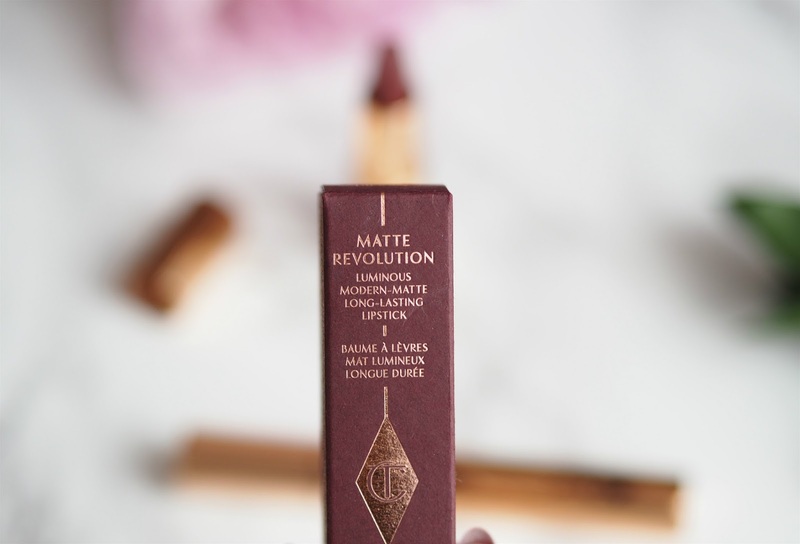 What's your favourite Charlotte Tilbury product? I'd love some recommendations! 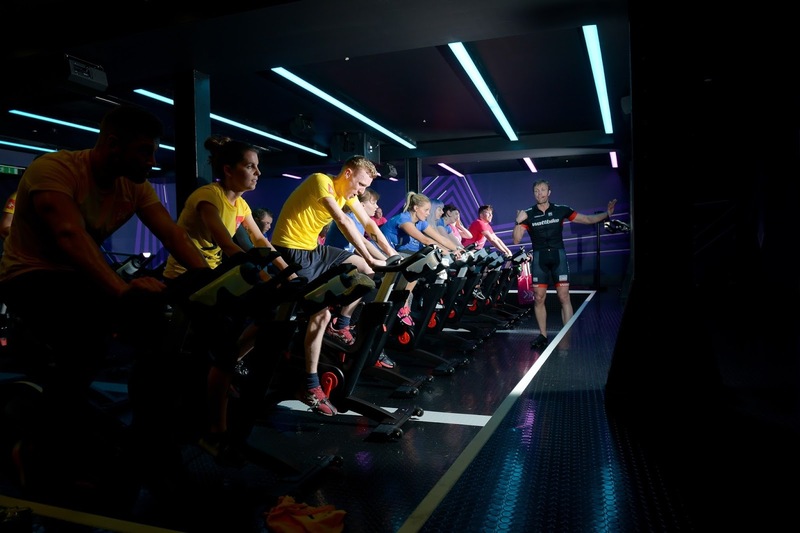 A few weeks ago I was invited to go over to Virgin Active in Mayfair to try out one of their new group exercise classes - The Pack. I was of course really up for it because I always find I'm so much more motivated with classes, compared to when I try to do it by myself out in the gym. Anyone else with me on that one? I think I just find it easier to keep going when I see everyone else doing it too. The class was split into three different groups which all compete against each other, and to make us all even more competitive, they had arranged this one to be Food vs Fashion vs Beauty bloggers. I was in the Fashion pack which was lead by Ali. 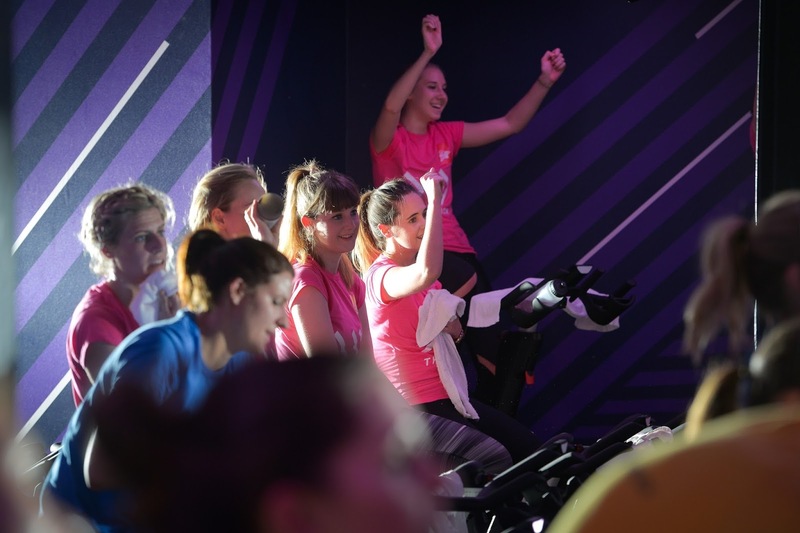 The class itself is split into four different challenges, which I think really helped to break it down rather than have it seem like one long daunting challenge, and the music and light effects throughout helped to keep the energy flowing really well. The fact that the big screen shows the team's progress really urges you on because noone wants to let the side down! It is a real calorie-burner and just from one workout I could tell that if you do this class consistently, it would seriously help tone and sculpt your lower body. I knew it wasn't going to be easy, but my god what a workout. 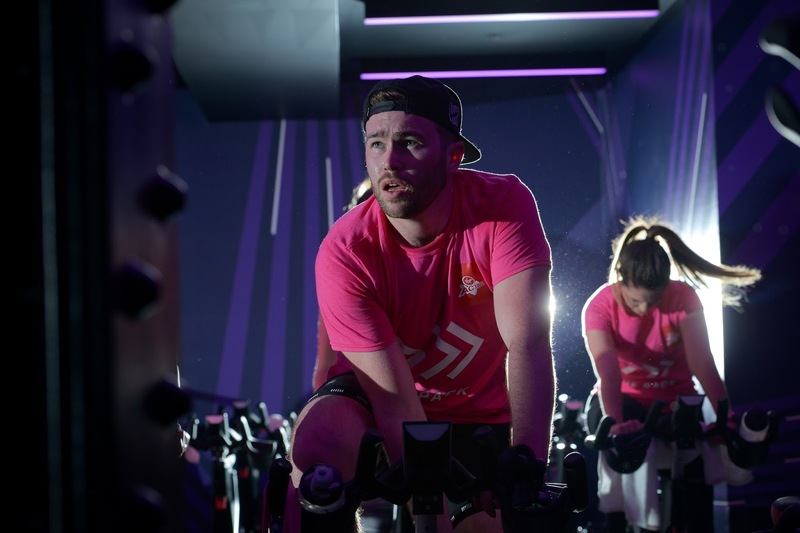 There were a few moments where I was just like 'I literally cannot' but the class leader kept coming around and motivating us that little bit more, and I think by the end it gives you a real sense of achievement (and a lot of heavy breathing...). 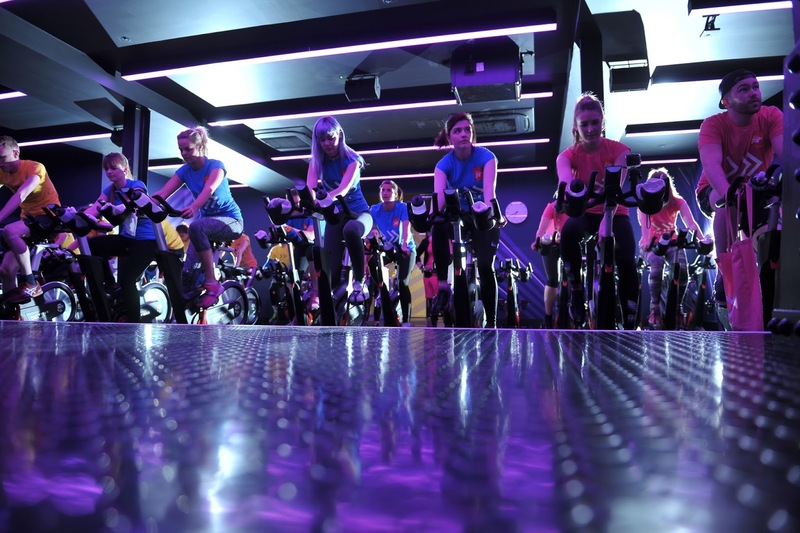 I think cycle classes might just be my new fave. 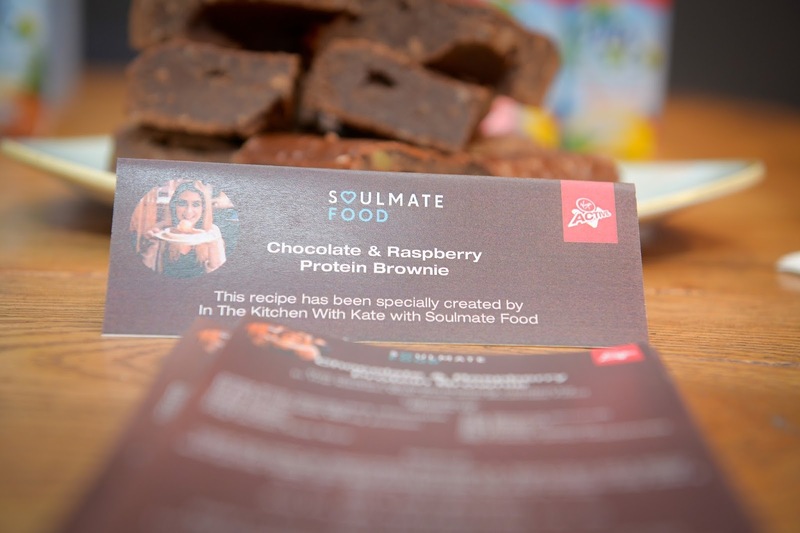 After the workout, I couldn't been happier to find these incredible brownies from Soulmate Food the size of my head on the table, I think we earned them! Let me know what you think of this class, do you like group exercise? Hey guys, hope you're all doing okay! I can't complain but won't lie to you, it would be a lot nicer if I wasn't knee deep in a masters thesis. 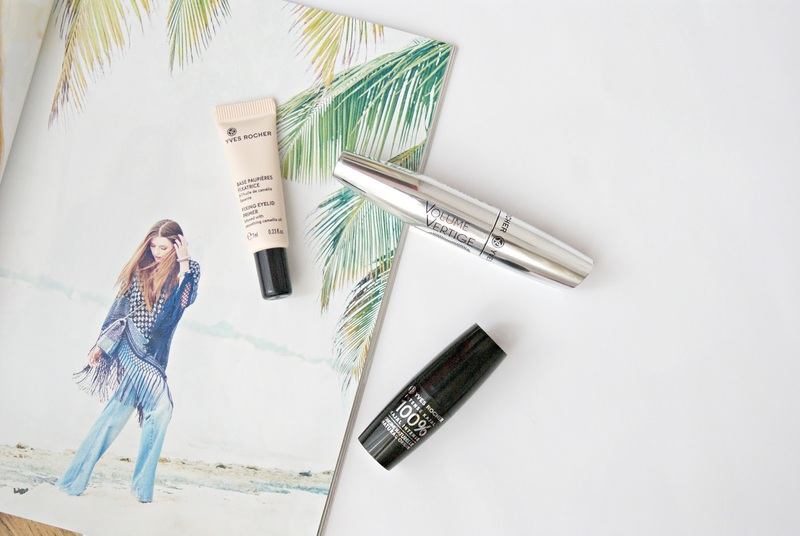 That aside, everything isn't too shabby and my methods of procrastination mean I've got some pretty great products to show you from Avon and Only Fingers and Toes that I've been loving lately and popped into a quick post. First up the Avon Ultra Color Bold lipstick in Magenta Flash - the name sums it up pretty well because it's definitely not a subtle shade, but it's oh so beautiful. It made me think 'I need that in my life' and 'would I ever be able to pull that off' all at once, and that goes for pretty much the entire collection. The formulation is incredible too - super creamy and moisturising and you can either choose to wear it opaque as it's so pigmented, or you can sheer it out too! Makes it great for if you want to just pop one into your bag and change it from a day to night shade. The OFAT pair consists of the Fickle polish and an Extend clear coat which ensures the colour goes on smoothly afterwards and makes it last longer chip-free, I found mine last about 7-8 days which for a normal polish really isn't too bad at all! When it comes to my nails, I can never just leave them as they are and I always feel like I need to keep them in good shape and neat at all times (and it's an excuse to feel pampered!). I usually get my nails done at a salon, but when I paint my own nails I like to steer very clear of darker colours because I'm not the most talented at it and darker colours definitely show it more. Light, understated shades like Fickle suit my skintone and are much more forgiving in that sense! I always find this brush a dream to work with too and the formula doesn't take an absolute age to dry - I think two coats creates a perfect look with this one. I know a lot of people haven't heard of the brand but I absolutely love it so thought I'd share it with you guys too. I usually get it from Harvey Nichols and I'm pretty sure that's the only place where it is sold other than the actual Only Fingers and Toes website. 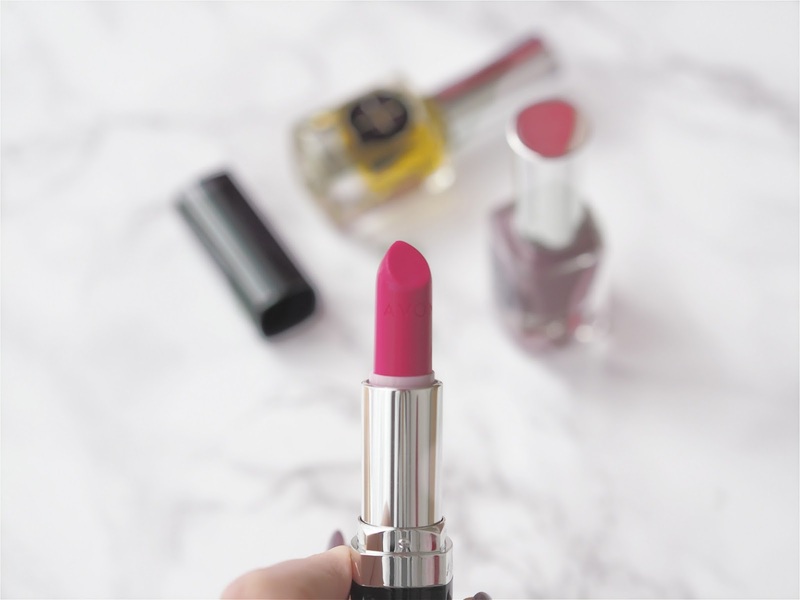 I'd love it if you left me any of your own bright lipstick recommendations below, and let me know what your favourite nail polish brands are too! Photography is something that I'm constantly working on and something that I think can always improve. I'm completely obsessed with it and sometimes there's nothing more satisfying than taking a photo that you're really proud of. 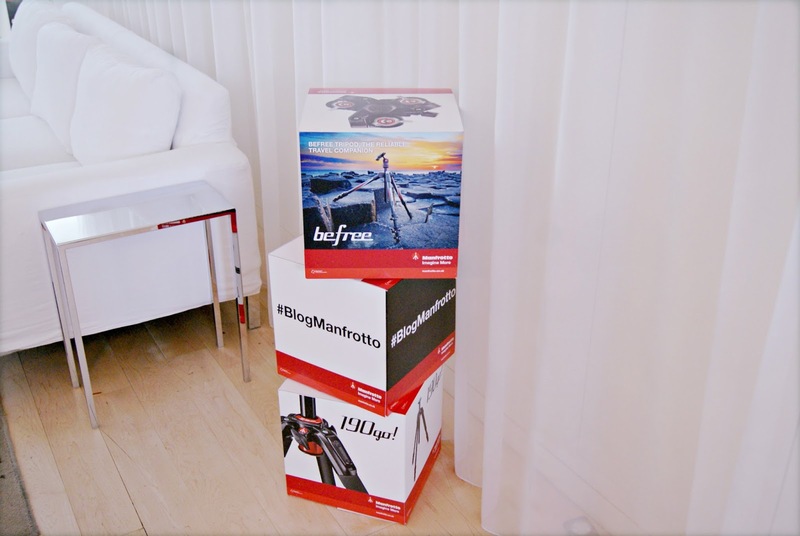 When Manfrotto invited me to go to a photography day with them, I was obviously super excited to go and pick up some tips and get my hands on some super cool gadgets. 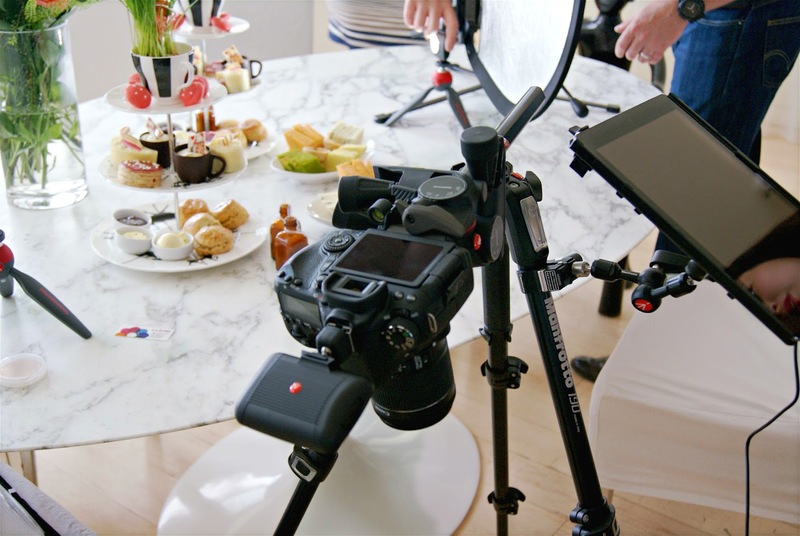 I found it all really interesting so I thought I'd share some of it with you so that you guys can pick up on some new gadgets here to help with your photo's that you might not have come across before. The penthouse of the Sanderson Hotel was an awesome location, as beautiful as you would expect it to be and the lighting was pretty much perfect too (fitting right?). The floor was split into different areas exploring different kinds of lights, lenses, tripods and different kinds of photography ranging from food to fashion. The tripods themselves were quite something, allowing you to be so precise with where you wanted your camera to go, or putting your camera at an angle which would just not produce anywhere near as good a result if you were to take the photo handheld. 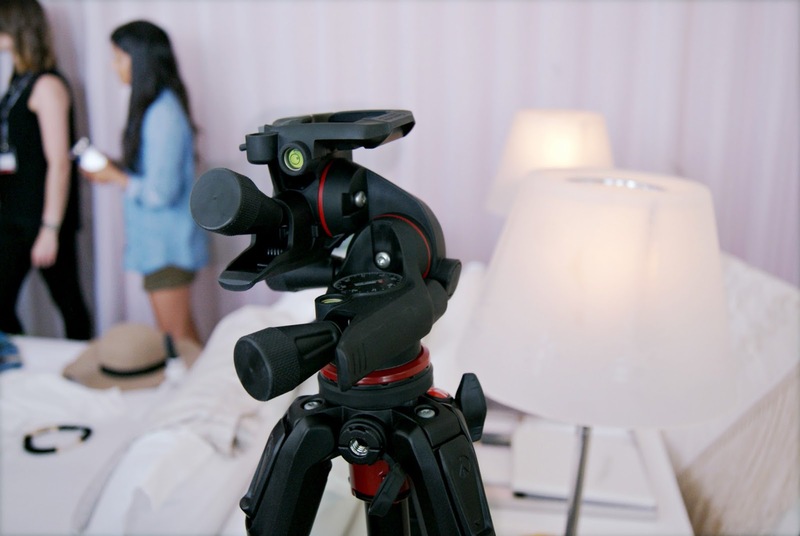 There was also a Pixi tripod which is really small and portable for when you can't have a full size tripod with you. As well as these I spotted some Lumie LED lights which I thought would be perfect especially for blogging beauty products or food photography where you need a little bit of extra light on a small area. But as cool as the other things were, they didn't beat the Digital Director. 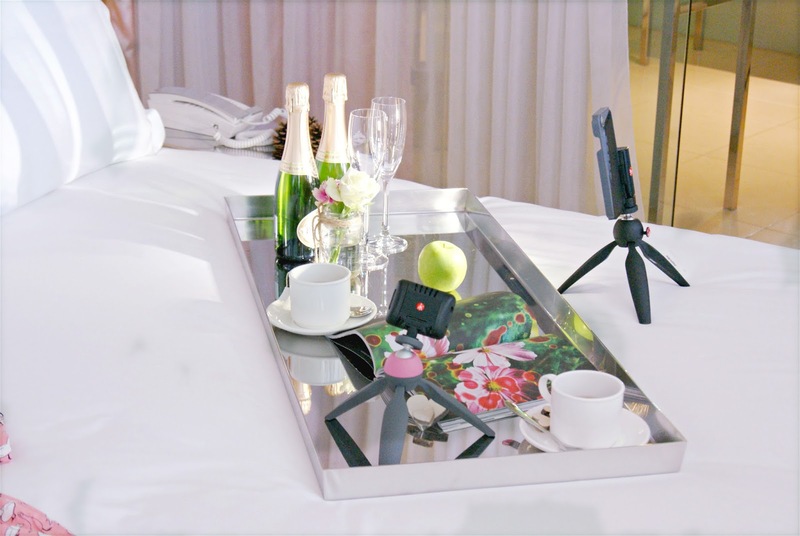 You clip your ipad into it, connect it to your Canon/Nikon camera and then you can completely control the photo's or video's you take on the app. 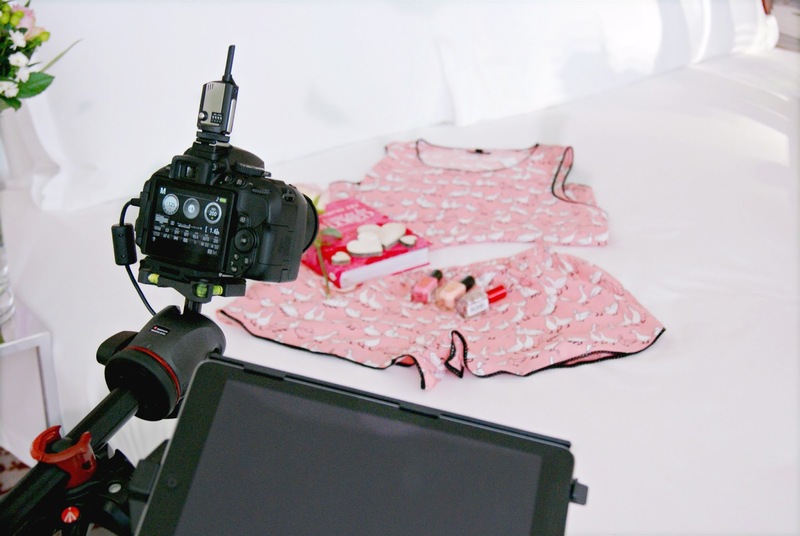 It's one of those things that would just be really cool to have, you can get really precise with your photo's and edit them on the spot without having to deal with your memory cards etc first. Obviously it's not cheap so it's not something everyone needs to have, but if you can afford it, I think it would be a pretty awesome investment. 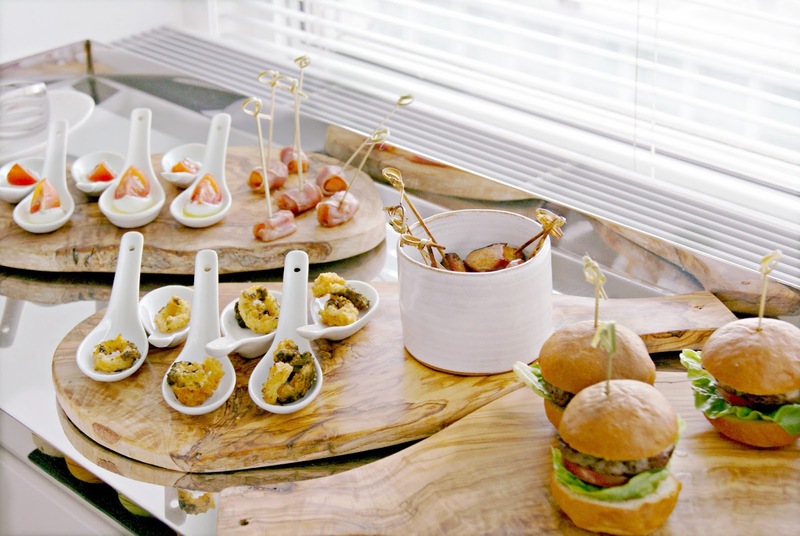 After all the chats and wandering around there was time for some nibbles, macarons and mini burgers anyone? It was a really lovely event, so different to any that I'd been to before which had mostly been fashion or beauty related so I found it really interesting, as well as the fact I got to see some lovely old faces and meet some new ones too. 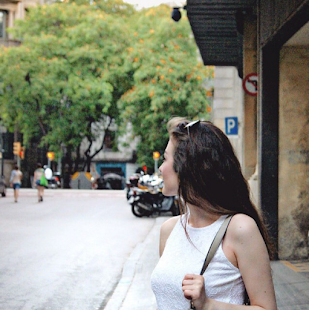 Follow me right here on Bloglovin so you don't miss a post! 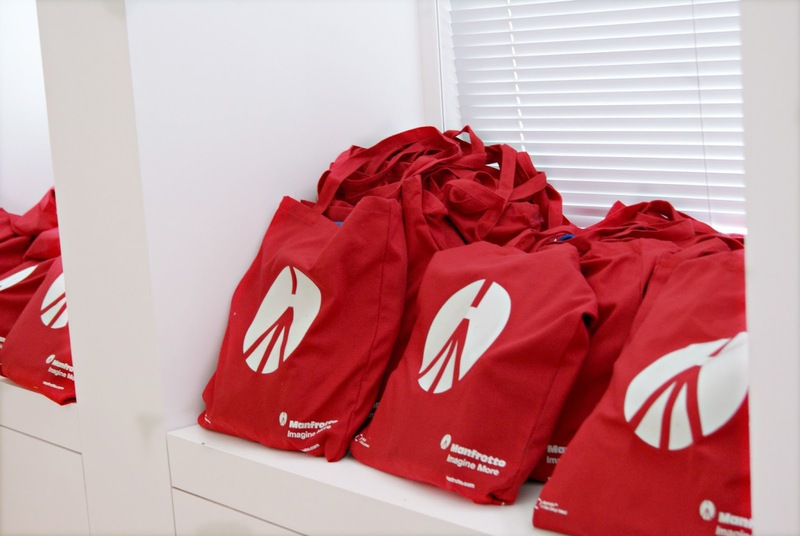 *This is not a sponsored post, I was only invited to the event and wanted to share it. Hey guys! It has been a while since I last posted but it's definitely not for a lack of wanting to! A quick life catch up before I move onto the products - I've basically been super busy trying to figure out my life after uni (who knew it could be so stressful?! ), planning my summer and generally making sure that the rest of this year is going to be a good'un. I'll be off to Barcelona in a few weeks which I'm so excited for and I'll obviously keep you updated with that on Twitter and Instagram. Onto the products, the lovely people over at Monu kindly sent me these products to try out after I fell in love with their primer and I was excited to be able to try out some more things. I think I'm quite addicted to trying out different skincare products and generally being on the hunt for products that will actually better my skin as it is a complete pain to look after. 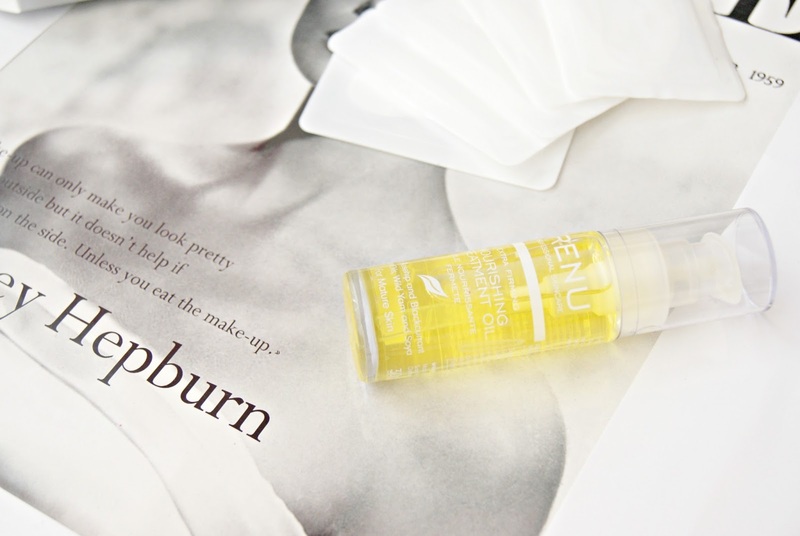 First up is the Nourishing Treatment Oil which has a non-greasy texture when applied onto the skin (I've always worried about that when it comes to face oils) and sinks in quickly. As this was also designed to have effects of anti ageing , my mum was keen to get involved and so we used it to see how we would both feel about it and get a better perspective on how it works for different age groups. I've found that my skin has been much more radiant compared to when I don't use an oil at all. 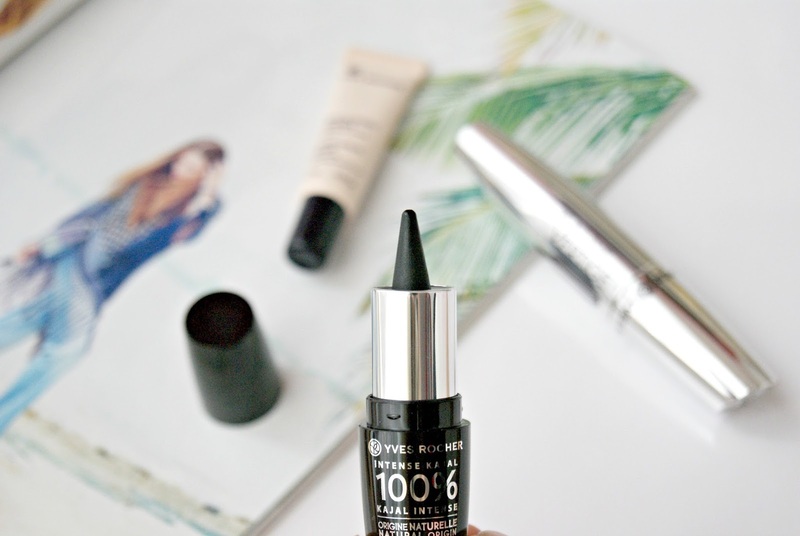 I usually only use it at night but you can also use it before you apply makeup in the morning, and I tried it out to see whether it would affect the look of makeup or the lasting power and it didn't (and it didn't irritate my skin either!). My mum found that the biggest difference for her was also the radiance that it gave her skin, reducing dullness and giving her a more youthful glow - she's been using it every morning and night since she first started and said that she can tell the difference if she misses it out a few days. 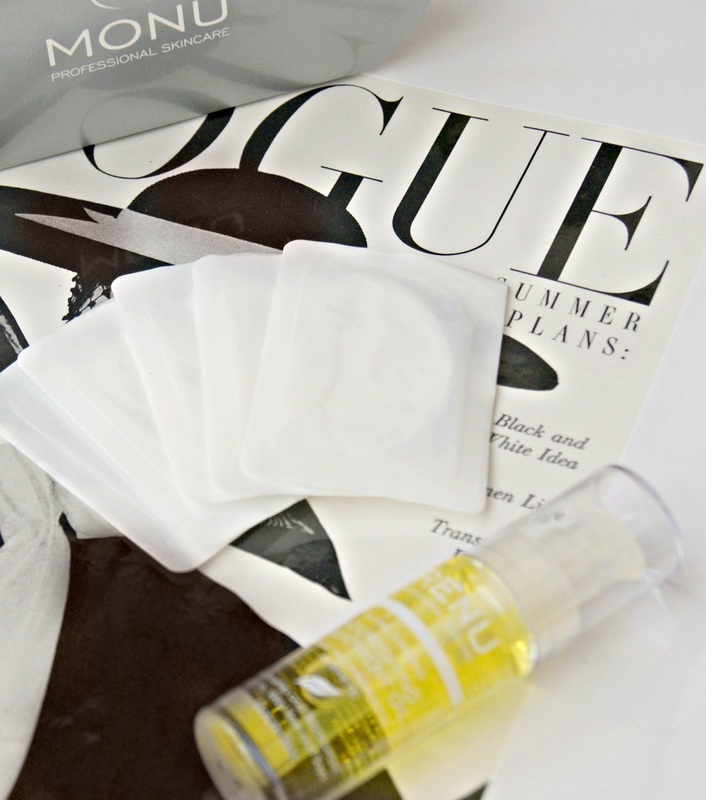 As well as the oil, we tried out the Active Collagen Eye Patches, which I was really intrigued about. They promise to calm the skin around the eyes, hydrate and firm to reduce the appearance of fine lines, or even just make the area appear brighter and more awake (much needed after long days at a computer and inevitable panda eyes am I right?). 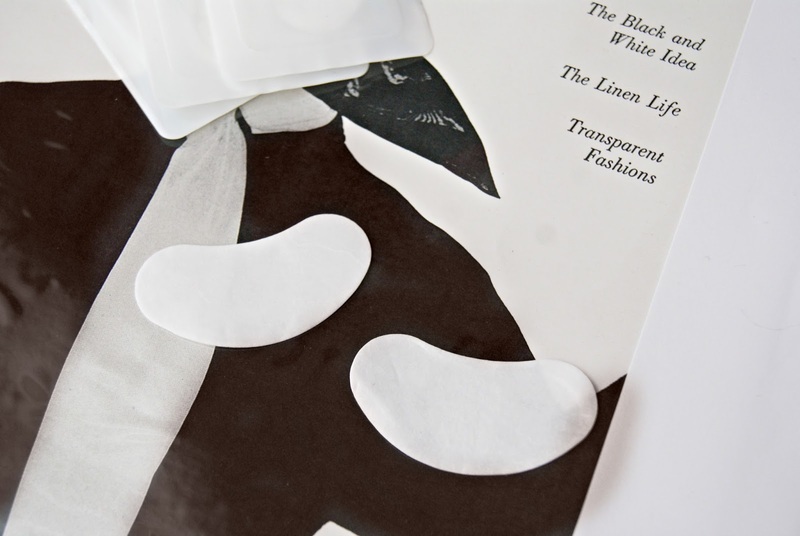 They were super easy to use, you peel them out of the packaging, apply to the under eye area, dab with a damp cloth until they become transparent and then leave them for the required time - I find the process of it quite relaxing and it gives you an extra reason to take some time out for yourself. After one application we both noticed that the area looked brighter and more awake, and my mum especially said she noticed a plumping effect on the fine lines around her eyes the more she used them. Of course these are not a necessity and it's not something that you absolutely need to have in your skincare kit, but they are great for special occasions or when you want to go the extra step to make your skin as a whole look great. I think my mum looks beautiful without any of these but I know how much more confidence we gain from our skin looking happy and healthy, so I'm glad they were a hit not only with me but with her too! 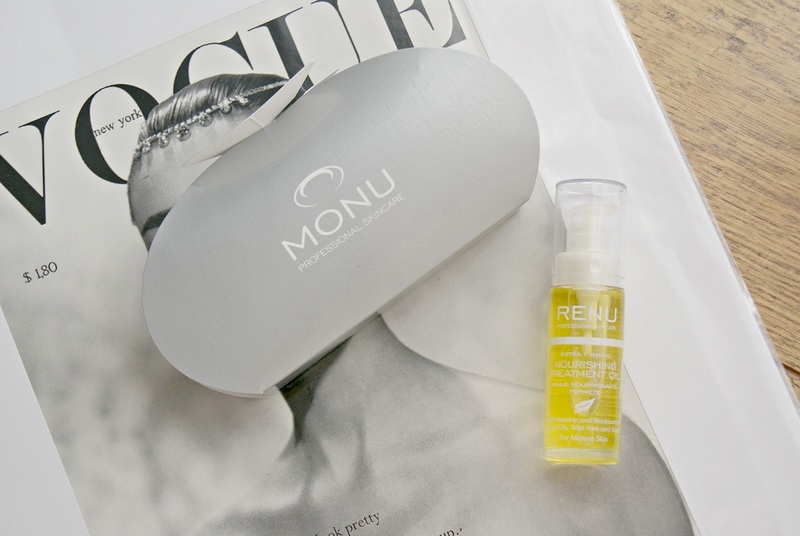 Do let me know if you've used any Monu products before and what you thought of them. Hope you're having a great weekend so far and speak to you soon! 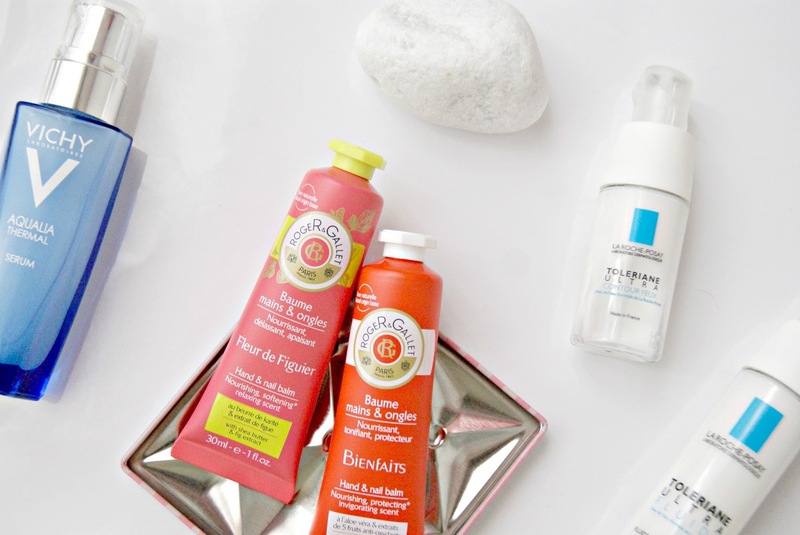 After me going on about them at any given opportunity, you guys might be aware that La Roche Posay are one of my absolute favourite skincare brands, and I swear by their Toleriane range in particular. I usually use their original Tolieriane Ultra moisturiser because it completely hydrates my skin without feeling greasy or overpowering, sinks in super quickly and most importantly does not irritate my skin at all. I was very kindly offered the opportunity to try out some bits from their new range and I was definitely not disappointed! The Toleriane Ultra Fluide is a thinner, silkier formula compared to the original which was definitely thicker in texture, making it perfect for right now as the weather is picking up. My skin feels hydrated instantly as well as for the rest of the day, and it absorbs into the skin almost instantly. It is amazing under foundation as I've found it helps it go on really smoothly but there is no residue to cause makeup to move around or not stay where you need it to - especially important when there are pesky breakouts to cover up. I've noticed that the moisturisers in this range have given my skin a feeling of being soothed and comfortable throughout the day and overnight which I haven't found with any other brand, so it's a big thumbs up from me with this one. Another new addition is the Toleriane Ultra Eye Contour, which is the first eye product that I've tried from the brand. With eye creams I usually just want something that keeps the area soft, hydrated and non-irritated and this ticks all those boxes. I apply this morning and night all over the eye contour area and it makes the area around my eye look smoother and quite plump and like the moisturiser it absorbs really quickly - I've always found it annoying when I can feel that the eye cream is on so the lightweight refreshing texture of this was a big bonus. I always like to run my hands under cold water before I apply my moisturisers as I find it really lovely and cooling, especially around the eye area. When I went away for the weekend and forgot to pack this, I could definitely tell the difference and that my skin was missing it. As well as the creams I got to try out some bits from Vichy and Roger & Gallet too. 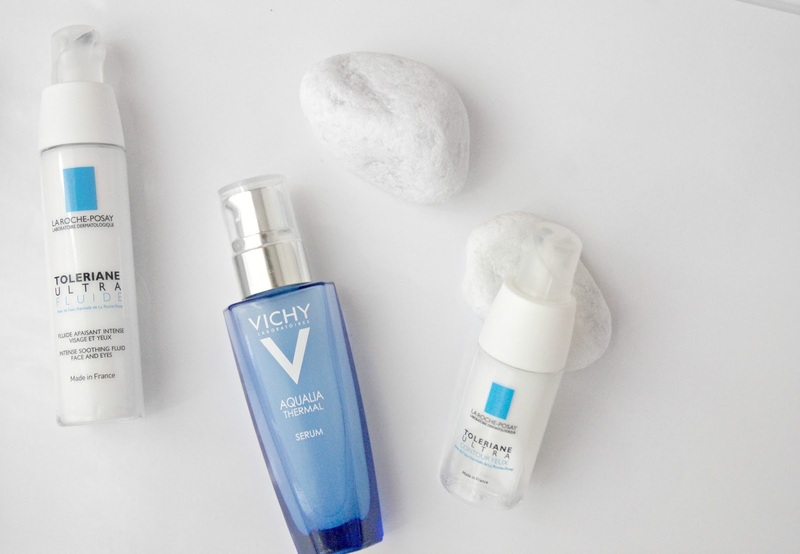 The Aqualia Thermal Power Serum from Vichy aims to reduce dehydration in the skin, make it appear plumper and more radiant using ingredients such as hyaluronic acid which we all know by now is great for our skin! Using the moisturiser on it's own was brilliant but putting this underneath as well seems to have made my skin absorb it even more and they've made a big difference to my skin - it's hard to describe how but it just looks and feels healthier. The product is dispensed in a perfect amount for the entire face and sinks in very quickly without any residue left over. Whenever I get red marks on my face they seemed to stick around forever, and I feel like this one has helped that process speed up a bit and I'm so happy to say these products have helped it go in the right direction! 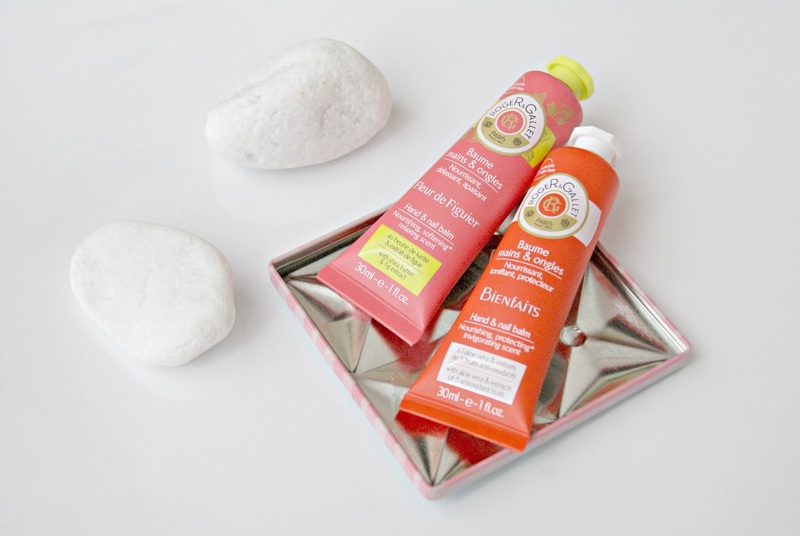 Lastly are the two hand balms from Roger & Gallet. 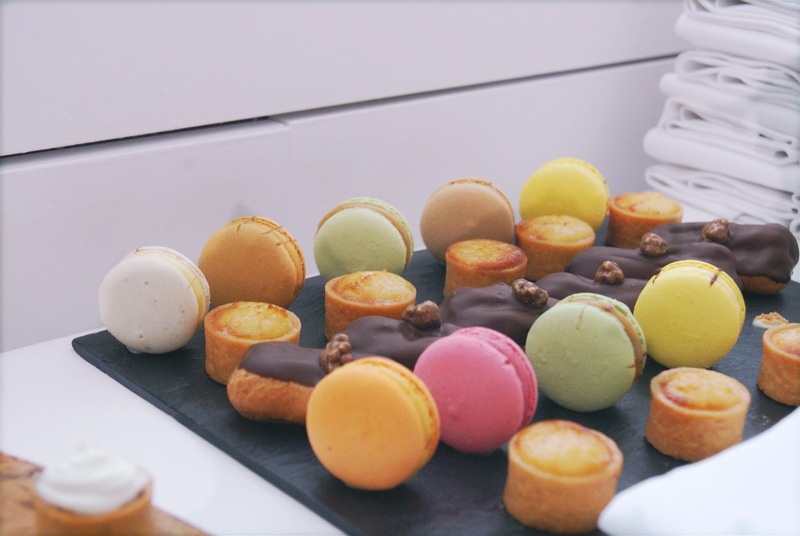 I got to try out the Blood Orange Bienfaits and Fleur de Figuier scents (the second is definitely my favourite, if you guys ever come across it, you need to smell it!). Not only do they smell amazing but they make my hands so soft for absolutely ages, and they are a mattifying texture which I'd never really come across before. There is nothing more annoying than moisturising your hands and not being able to pick anything up without getting the residue all over it, and that's not a problem with this one. 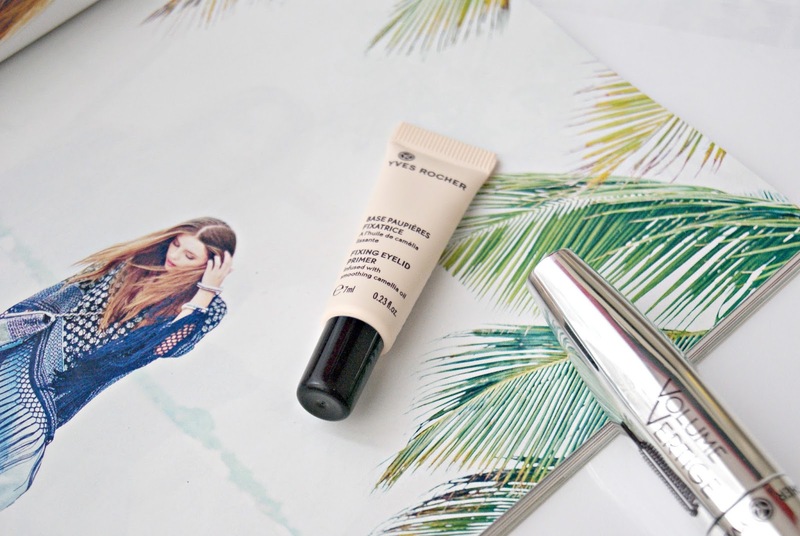 The packaging is my favourite kind for hand creams, just a really thin no fuss tube to throw into your handbag. I've really enjoyed using all these products over the past month, and would recommend them to any of you guys - especially the Toleriane Ultra Fluide and Vichy Power Serum as they've made the biggest difference for me. Let me know what you think! My skin is an absolute nightmare when it comes to sensitivity, it reacts to pretty much everything and it means I have to be extra careful not to do anything to irritate it or make it flare up (and as a blogger that tries out a lot of products it can be difficult...). I thought I'd put together some tips that I've learned from experience that you might find useful. I'd love to know any tips you have for me and for others too so do leave them below as they might help someone! 1) Have an assigned area on your face that you will try new products out on for a few days before you start using it all over. I use my forehead and whether it's a new moisturiser, serum, face mask or foundation, I always test it out just in that area first so that if my skin reacts badly I know exactly what has caused it, if it reacts well then I know it's safe to use on the rest of my face - I don't like taking any risks as my skin takes what feels like my entire life to recover. 2) This one follows on from the first point quite well, and that is to try not to start using more than one product on your face at any one time. I learned this lesson the hard way and my skin definitely used to suffer for it as I used to try out a few new different products and I had no clue what was causing it to react badly. That resulted in me feeling insecure about my skin, as well as the fact it is a waste of money as I had to stop using all the new products before I could even think about trying them out again. The only positive that came from it was that it made me much more cautious than I used to be and my skin has definitely thanked me for it. 3) Don't be afraid of liquid exfoliants. I used to be terrified at the thought of putting anything with the word acid involved, but after reading up on it (mainly thanks to a certain Miss Hirons) I realised that it might actually be worth a go. I'm so glad I did because I used to use exfoliators with tiny grains and now I look back on it, I realise that it irritated my skin a hell of a lot, and that I should have been more scared of those than I was the liquid exfoliants. Since using the Pixi Glow Tonic morning and evening, the surface of my skin has become so much smoother, my pores have shrunk dramatically and I don't get as many breakouts which means my foundation goes on like a dream. Although it appears a little red in certain areas after you first apply it, it's perfectly normal and goes down soon after. 4) If you can, always try out a sample of a product. If you usually pick up a lot of foundation samples, I recommend keeping them and cleaning them so that you can use them for when you need a sample of a skincare product. I know not all brands and stores have their own samples, but I've found that they're usually willing to help a gal with sensitive skin out with a sample if you take your own pot. You are investing in something which in a lot of cases with skincare, can be quite expensive, so don't go for the full size straight away unless you really have to. 5) Wear suncream every single day. I know it sounds over the top and here in England it's easy to be fooled into thinking that our skin isn't at risk from the sun, but it really is, especially if it is sensitive anyway. The general thoughts around suncream on the face aren't the best - they can be greasy, thick and irritating to the skin, and I used to hate using it unless I absolutely had to because it used to make my skin flare up, not just momentarily but for hours afterwards. Since using the Kiehls Ultra Light Daily Defence, my skin has no longer been irritated and I leave the house everyday knowing that my skin is protected with factor 50, so I urge you to find the right one for your skin because it's not worth the damage that the sun will do to it! Hey! 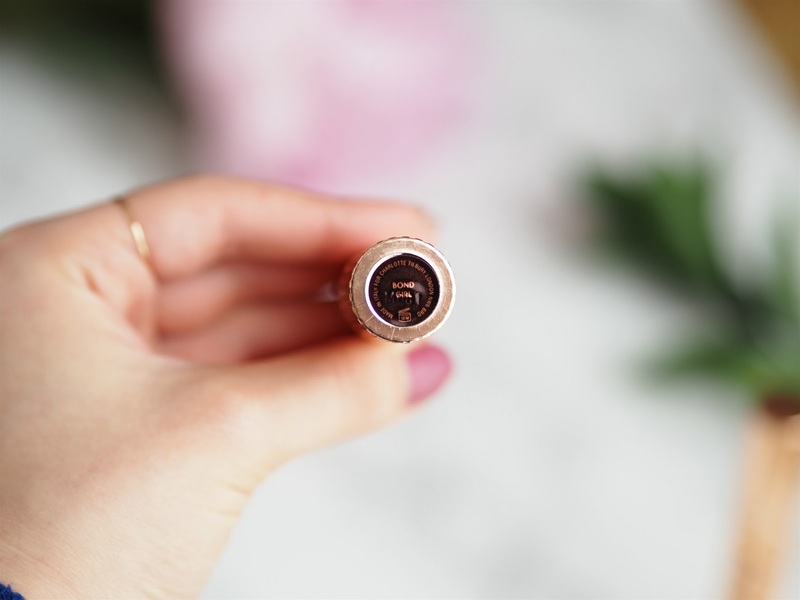 I have a makeup post for you guys today - as you know I was a fan of the Yves Rocher skincare products from this earlier post and I was super excited when I was given the opportunity to try out some of their makeup bits too! I hadn't come across Yves Rocher until I started blogging, so I wasn't too familiar with it, but as a major brand in France, I thought I'd try to pop into their Champs-Elysee store when I was in Paris. It was lovely to see the products I'd tried amongst the rest of their collections, and how busy it was with customers going in to pick up their favourites. It definitely made me feel a lot more familiarised with the brand, now onto the makeup! 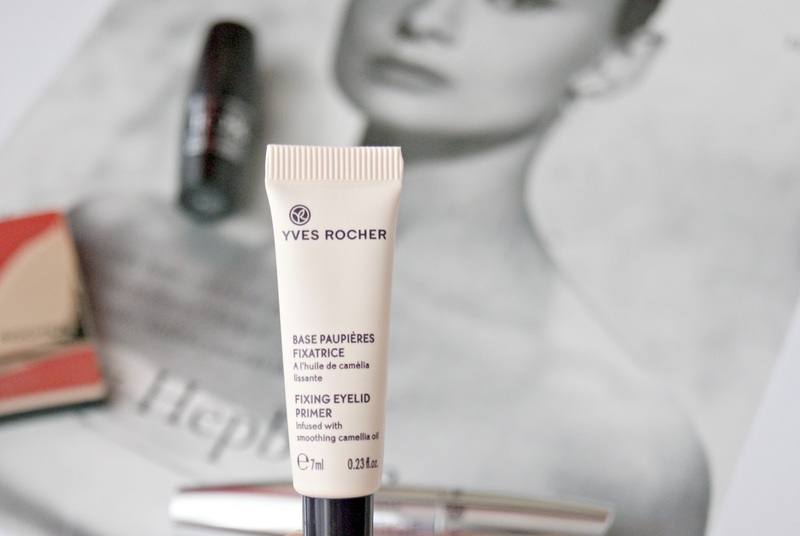 First up is the Fixing Eyelid Primer. Eyelid primers are an absolute must for me and something that I need to have in my makeup bag because I have very thin skin and blue tones around my eyes, and eyeshadows really don't pop if I don't have a base underneath. At first sight this appears extremely yellow/orange in tone but as soon as you smooth out the product it almost disappears and just leaves a lovely even base and colour to work with. On top of that, what I really loved was the fact it gave off a great amount of pigment without feeling like I'd just placed a brick on my eyelids, the Urban Decay eyeshadow primers for example felt extremely heavy and thick on my eyes. 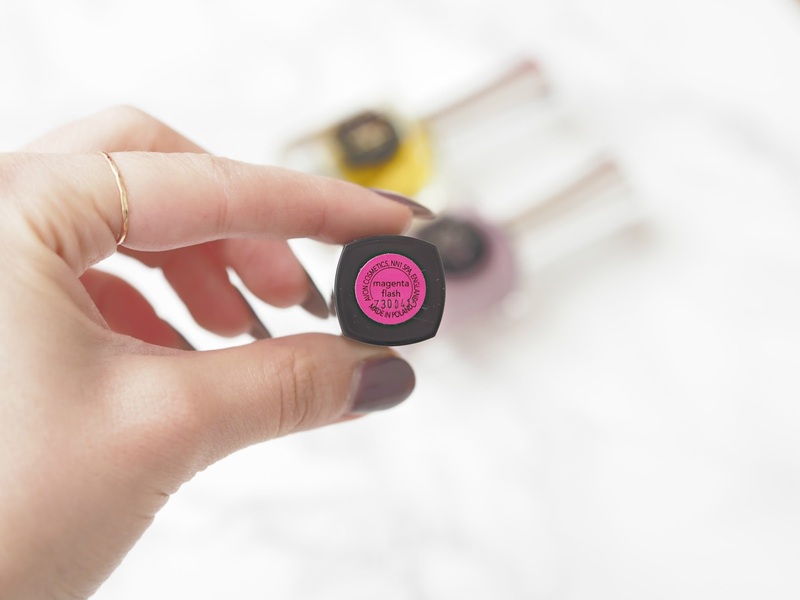 This product made the colours of my eyeshadow really pop and I applied them in the morning before a blog event and busy day in Central London, and they were still looking good when I got back in the evening - a definite winner. 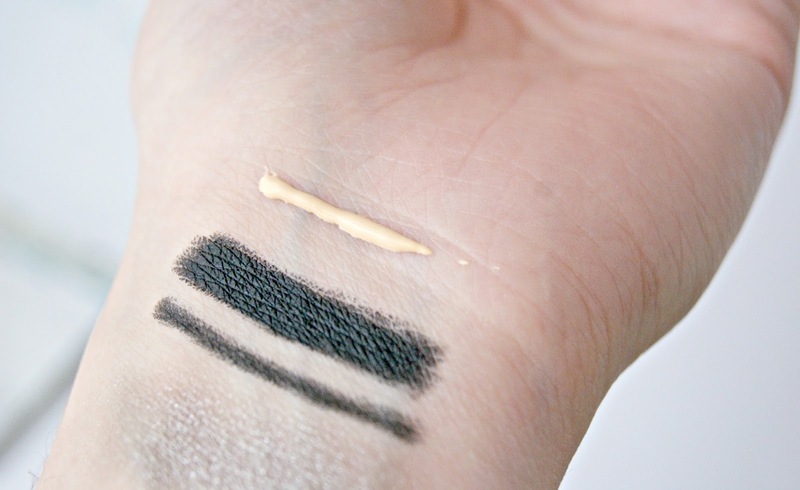 Eyelid Primer and Kajal Liner swatches. Next up is the 100% Intense Kajal liner which is so so pigmented. Not many black liners actually create a black line in one easy swipe, but this one seriously made an impact with minimal effort required. It feels smooth and creamy and creates a super intense look, something like this would be perfect for a smokey eye look. It didn't smudge or bleed on me so I was pleasantly surprised when after a day it hadn't budged and I didn't in fact look like a panda, and after swatching it on my arm it was very hard to get off without makeup remover so I knew the lasting power was promising. The packaging is also really cool and unlike anything I've seen before, you simply twist it up like a lipstick and apply. 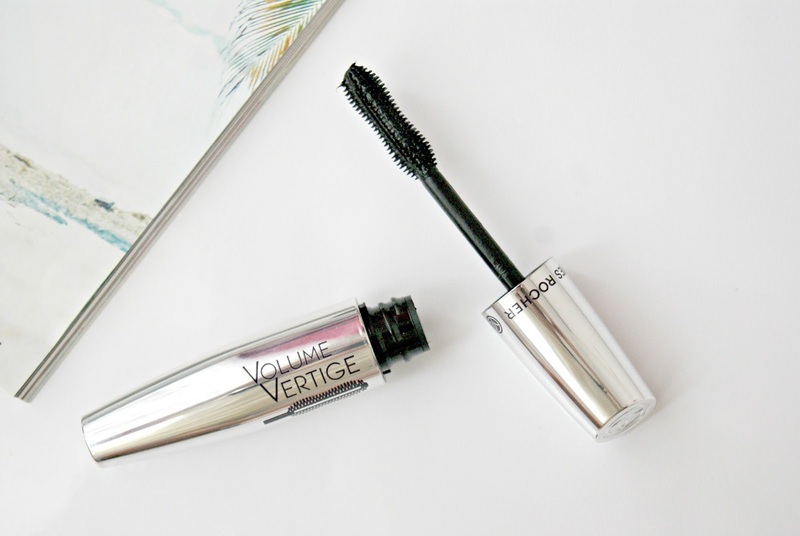 The first thing I noticed about the Volume Vertige mascara was the brush and the way the packaging was dispensed. I mentioned in my last mascara review that I usually have to try and take off any excess product from the wand in order to actually get a good result, but with this there was absolutely no need as it leaves the perfect amount of product on the wand every time, and I didn't have to think twice about it before applying. In one coat you can see the difference it made to my lashes, mainly in volume but also in length and actually giving them some curl and definition without looking extremely fake or overdone. It's the kind of mascara that I don't need two coats of and it was super quick to apply without worrying about clumping. I've only been using it for a short while but I've received lots of compliments on it already! Lastly is the Sumptuous Colour Eyeshadow Quad, I have the green quad but it comes in lots of other super pretty options. 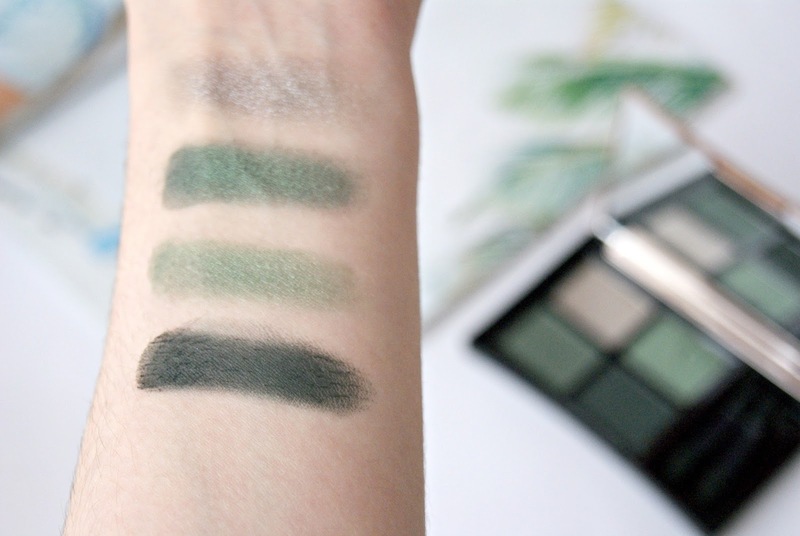 I was glad I got the chance to try out the green one because although it brings out the green in my eyes, I don't really ever feel brave enough to reach for them in eyeshadow palettes because they look extremely bright and daunting. With this quad it was definitely not the case as the shades are really muted and earthy and work brilliantly together without me worrying about looking like a clown. You can apply this wet or dry but I found them so buttery and pigmented that I didn't think I needed to apply them wet. 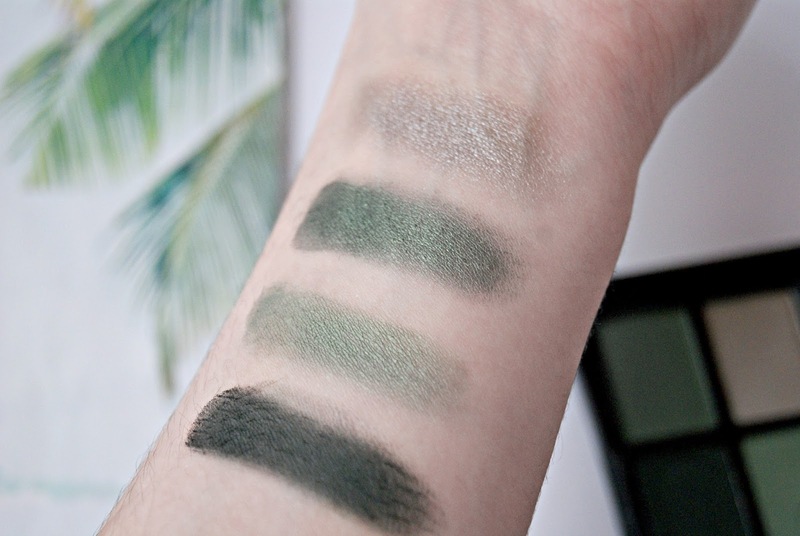 It is the perfect smokey eye quad with a pretty light grey shade, two lighter green options with a subtle shimmer but not at all daunting, and a darker matte green for the crease. 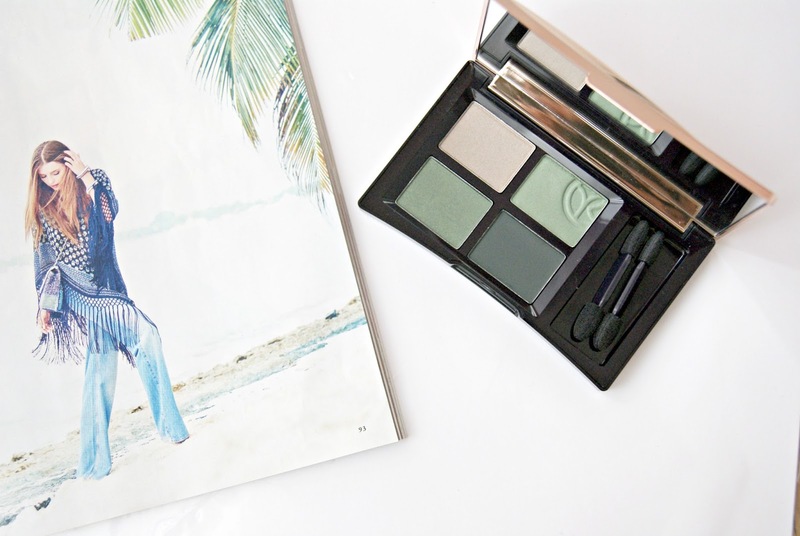 I think it makes such a great alternative to the black smokey eye, especially with summer approaching. The packaging is gorgeous and just simple black and gold and it looks very pretty indeed alongside my other palettes. The brushes included aren't very good but that's the case with all brushes that come with quads so that didn't matter to me anyway as they worked brilliantly with the ones I already own.